These days, the browser has become the go-to application in business. It enables employees to use a wide array of productivity, collaboration and business workflow applications. Chances are today, the browser is among the most critical applications users start up with their morning coffee. Chrome has become one of the most-used business browsers; research firm Gartner expects Chrome’s enterprise usage to surge from 43% to 65% share in 2016. Customers have switched to Chrome because of its speed, simplicity and security. 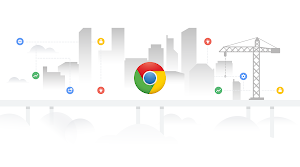 IT admins have become big champions of Chrome because our browser automatically updates and delivers enterprise applications seamlessly and consistently across all operating systems (Windows, Mac, Linux — and of course Chrome OS). This means cost and time savings as IT can manage one secure endpoint to deliver all their users’ apps. Today, we’re announcing new investments for Chrome, specifically for businesses: security enhancements for Windows 10, improvements to the Chrome update system for enterprises and a new 24x7 support offering for all customers, including those who aren’t using Google Apps but are running Chrome as their primary browser. Security - Security is one of the founding principles of Chrome. Now, we’ve made the sandbox more secure by incorporating the broadest set of available protections. We’ve also introduced a new Security Panel in DevTools to make it easier for developers to troubleshoot issues with certificates and mixed content — meaning pages rendered with both HTTPS and HTTP elements — making it easier to develop and deploy secure Web applications. Finally, we've also made great progress in the fight against unwanted software, for instance, by warning users of a site’s potential risks. 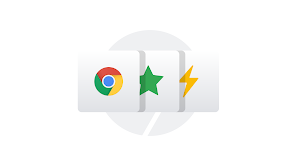 Caching - Companies rely on our automatic updates every six weeks to make the Chrome browser safer and faster over time. But for an organization with thousands of users and devices, trying to pull the latest Chrome update can strain the organization’s infrastructure. The new DownloadPreference lets proxies already used by businesses cache updates automatically, so virtually all downloads come from the company proxy and not the Internet, saving time and bandwidth. 24x7 Support - We recognize that for businesses that run on Chrome, it’s important to have the peace of mind that comes with 24x7 support from Google. We’ve been providing this for Google Apps customers, and today we’re expanding this to all customers — even those who aren’t using Google Apps. This new offering is called Chrome for Work Assist, and includes 24x7 phone and email support, with deployment assistance from Google. Chrome for Work Assist is now available in the US and Canada, with more regions launching soon. Contact us to learn more or get started.